Ok here’s how it all went down. I saw this yummy looking recipe on Pinterest. I immediately thought this would be great for dinner. Now here’s my delimma…..how do I sell this deliciousness to the kid’s. They are super picky. So here’s how I sold them the dish. I showed them the pic…..and as I expected they immediately want to know, what’s in it. I start by saying that I will tweak the original dish a bit and it will only have thing’s you love. My sales pitch wins them over and I get cooking and thankfully they really love the dish. Winning over my kid’s is no easy task, so when I do I have to celebrate. Now that I am done celebrating I want to share this deliciousness with you. Cook your turkey bacon until nice and crisp as you desire. Then cut into bite size pieces. Next liberally season your chicken on both sides with the seasonings mentioned above. Add oil to a large pan and cook chicken on both sides until cooked through on medium-high heat. Once done remove and set aside. Lower your pan to medium heat. Add reserved pasta water, then heavy cream and a 1/2 tsp of the above seasoning. Stir to completely incorporate the seasonings. Once the mixture comes to a boil add your cheese and stir to make sure the cheese evenly melts. 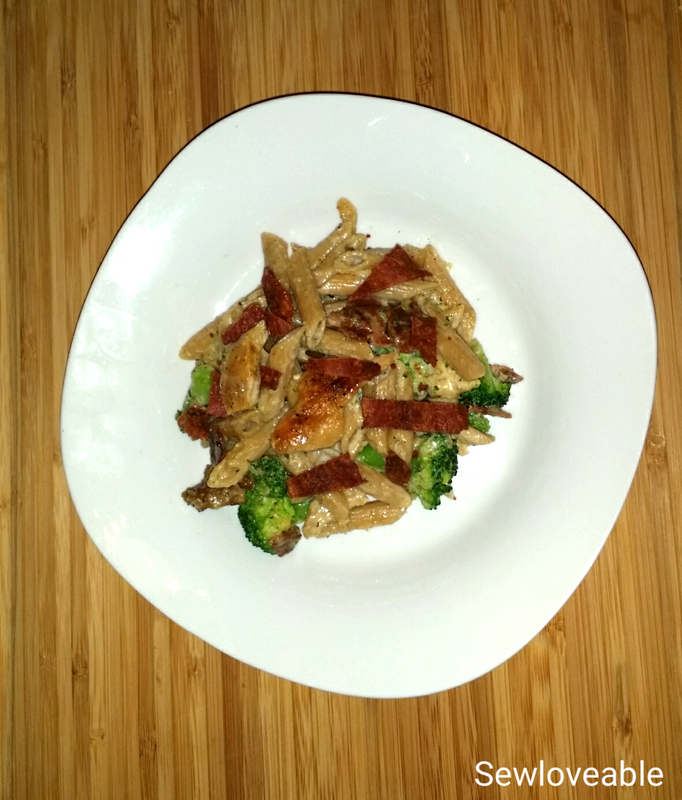 Add your pasta and mix to incorporate, next a the broccoli mix to incorporate, then add chicken and turkey bacon. Remove from the heat and now you are ready to enjoy. 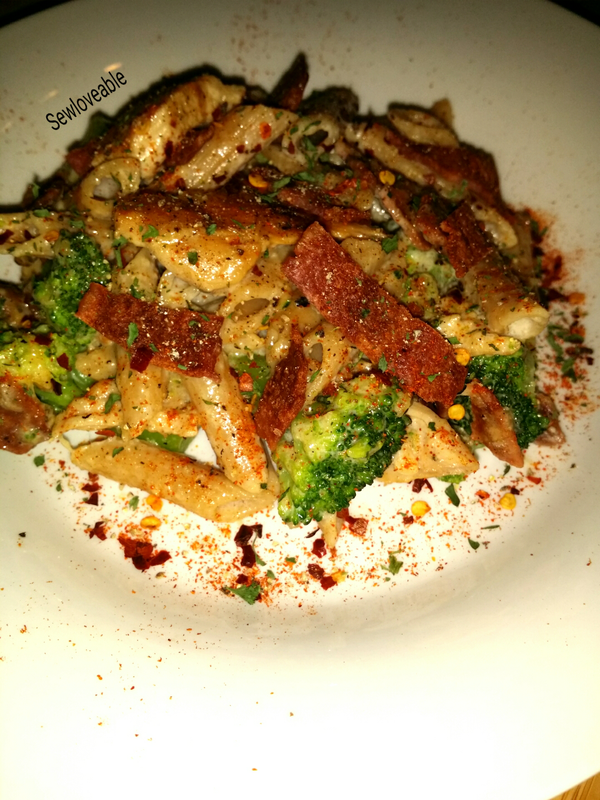 This dish was a huge hit. 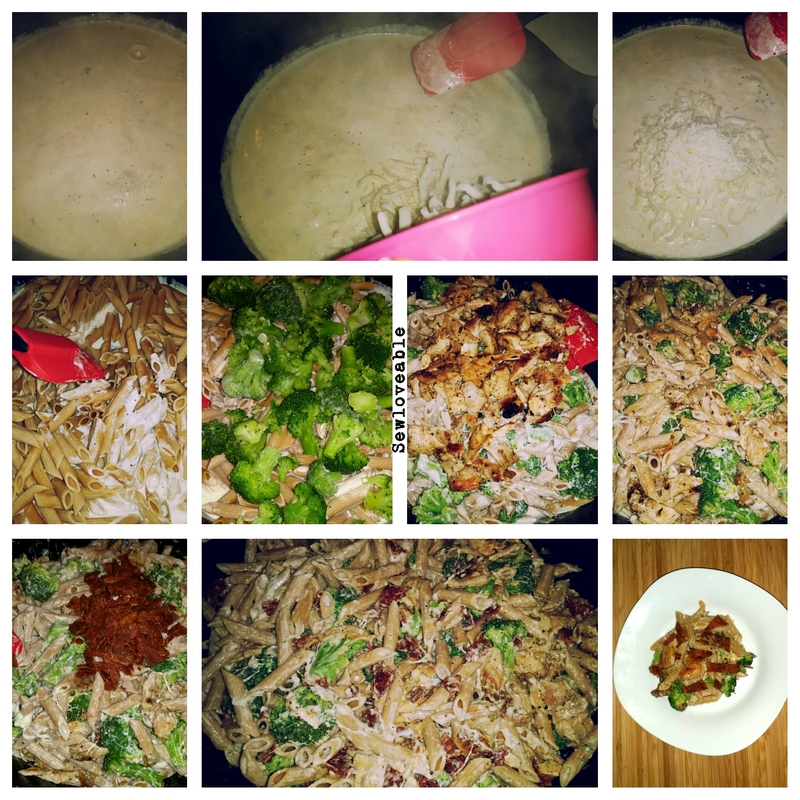 I usually try and make healthier swaps with my dishes but this one I just went for it. I look forward to making this dish for family and friends and you will too! « What to Do On a Friday: Meet and Greet!! Mmm this looks delicious I think you’ve inspired me to do something similar for dinner! Like the photo illustrations! Great imagery. I love Tasty Tuesday! how delicious! !